Wire : Simms, Newman, Lewis, Grey. Throughout their long and storied career, and despite the connotations of their collective name, English art-punks Wire never have moved in a narrow or linear fashion. The first three albums that form the cornerstones of their canon—Pink Flag (1977), Chairs Missing (1978), and 154 (1979)—remain one of the most astounding explosions of creative growth in rock history, each unpredictable, and each thoroughly brilliant. 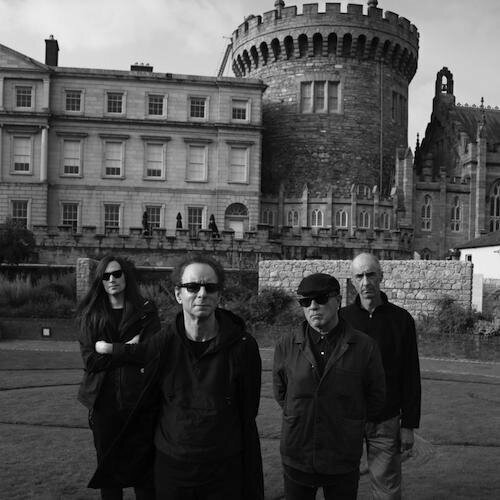 Various phases of Wire’s soon-to-be four-decade career have seen periods of consolidation and reckoning: The last release, Change Becomes Us in 2013, completed work unfinished at the beginning of the first band sabbatical in 1980, and its arrival coincided with the so-far definitive history of the band by Wilson Neate (I wrote about both the album and the book here). But let’s not read anything into the choice to self-title their 14th recording. These consistently perverse pranksters love tangents and confounding detours above all else, even when they fail miserably (1990’s Manscape, anyone? 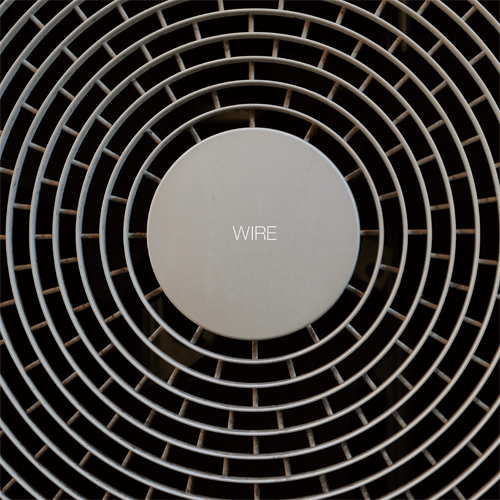 ), and Wire hardly is ready to sum things up and rest on its laurels. Me, I think the album title is a boast that the current quartet is the “definitive” Wire, because “new guy” multi-instrumentalist Matt Simms shines brighter here than at any point since he was recruited to replace cofounding (and confounding) guitarist Bruce Gilbert in 2004, joining original members Colin Newman, Graham Lewis, and Robert “Gotobed” Grey. After a strong string of discs updating and reimagining the early punk ferocity of Pink Flag, the new Wire has much more in common with the ethereal psychedelic-pop of 154—or, if you prefer a more recent touchstone, 2010’s Red Barked Tree. But, like every Wire album, nothing is quite that simple. Yes, Newman’s vocals and guitar lines (including some acoustic guitar!) and Simms’ guitars (including what sounds like some e-bow work) and synths never have sounded more alluring or dare I say wispy and ethereal; witness the gorgeous melodies of “Manchester,” “Shifting,” “High,” and “Burning Bridges.” But there also are the lengthy, dark, and menacing ruminations of “Sleep-Walking” and “Harpooned,” which contrast considerably with the compact fury of the concise, intensely Grey-driven eruptions of “Joust and Jostle” and “Split Your Ends.” Then there’s Beat poet, occasional bellower, and dedicated art-twisted “spanner in the work” Lewis, whose bass is guaranteed to go left whenever the rest of the band turns right, and who is delightfully elliptical as always in his lyrics. I read “Swallow” as his tribute to Chicago, long one of Wire’s most dedicated fan bases: “ The Windy City swallows corn/Volcanic princess brings a storm/Count me out, I love the spring/Curdled cream’s another thing.” But that’s just my impressionistic vibe, and Lewis probably will disagree. In the end, it doesn’t matter: Like each of these 11 tracks, the song stands with some of the finest Wire has given us since that opening three-album salvo, one that will only grow richer with each listen, and in the end, the band is undeniably giving Chicago something special anyway with its three-night, four-gig Drill Festival. After a taping of Sound Opinions Saturday afternoon at the Goose Island Barrel House, Drill: Chicago concludes that night at Metro, the first place Wire ever played here, with additional acts Tim Hecker, Disappears, and the pinkflag guitar orchestra—that is, Wire recruiting every friend in town with six or so strings for an epic, cacophonous romp through the title track of its first album. Whee! Rating on the 4-star scale: 3.5 stars.